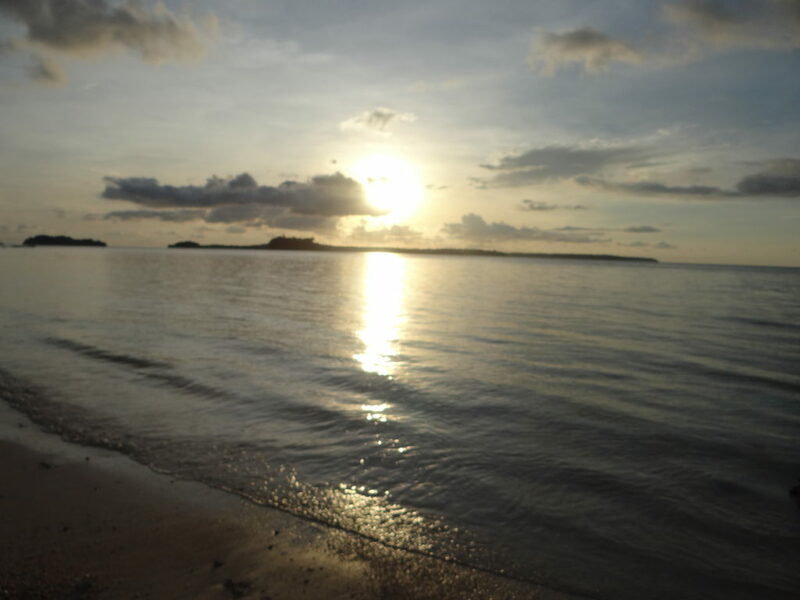 Andaman Islands are any travelers’ dream come true. It has everything from scenic beauty to serine beaches. Also it offers various water sports, adventure activities, and a lot more. 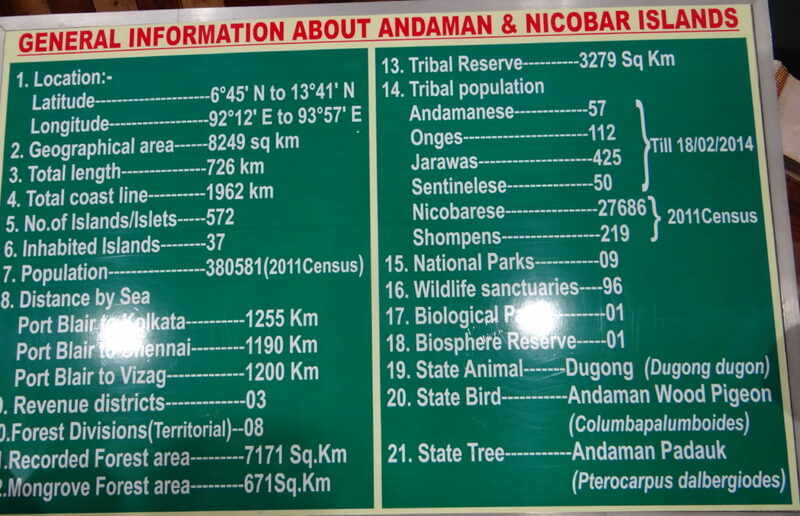 Andaman and Nicobar islands are a collection of 300 islands. But there are only few which are open for tourists/travelers. The crystal clear beaches here are any “Poets’ delight” and will make anyone ‘fall in love’ with them. How can I reach these Islands? 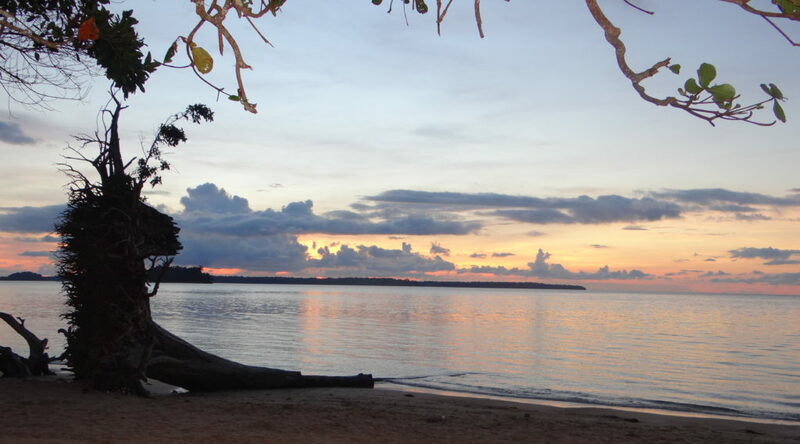 Port Blair is the Andaman’s major gateway which is well connected by Air & Sea. The best way to reach these exotic islands is to take flight from Kolkata & Chennai. These flights take around 2-3 hours, and these are mostly morning flights(which is also recommended). So you have full day in your hand to explore! Passenger ship services are available from Chennai, Kolkata and Visakhapatnam to Port Blair. The voyage takes about 50-60 hours. Andaman being at the southern most part of India is very hot/humid at most time of the year. The best months to travel are of October-March. These months are best for water sports and other adventure activities, as the water at the beaches are relatively clear. What all can I do on these Islands? 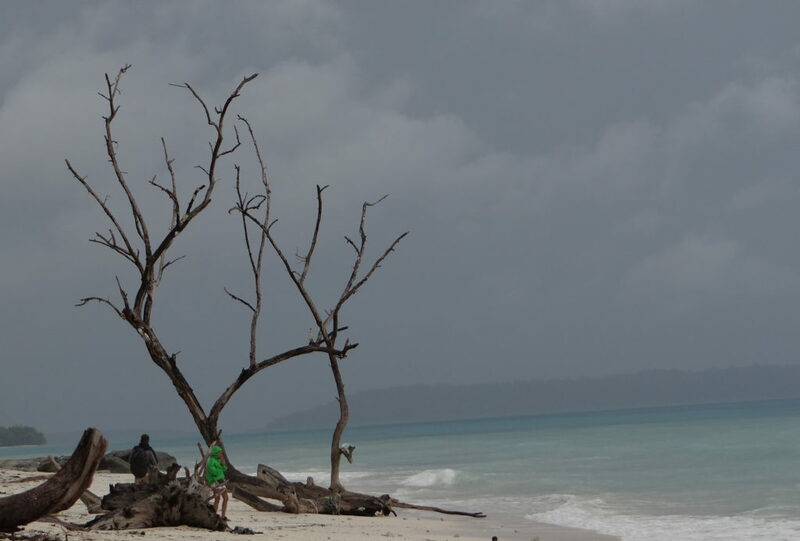 Andaman has a lot to offer to its travelers. It has something or the other for each age group and preferences. You can visit many museums(I am not a big fan of it), if you want to know the culture/history etc of the place. You can get a taxi booked or opt for the local autos which are easily available in the city and cheap too. Along with these museums, the main attraction of this place is “The Cellular Jail“. 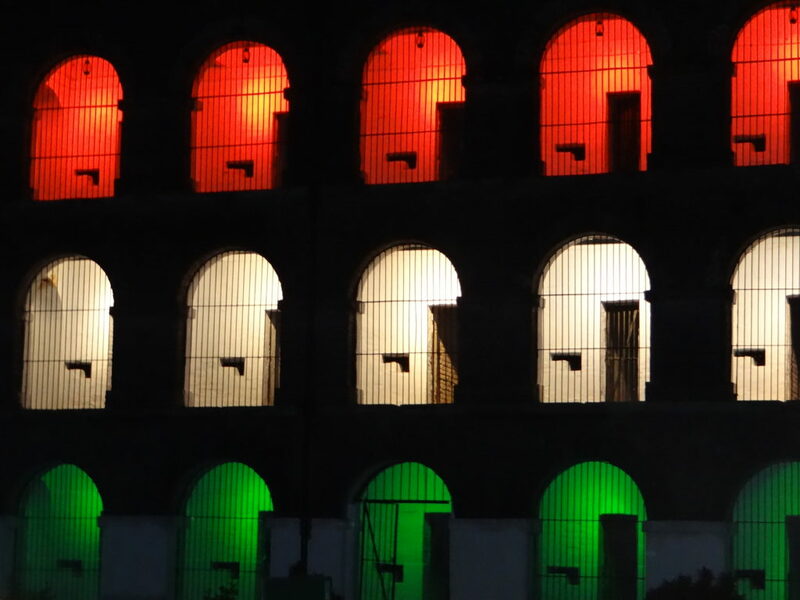 Its a historic place where the freedom fighters were jailed at the time of Independence. Also this place has an evening show, based on the stories of Independence era. Tickets for the same are available at the entrance of the jail premises. The entry cost is minimal. Also have separate cost for cameras. Its closed on Mondays, rest every week day its open. The same day we visited Wandoor beach, our timing was perfect. “Sunset“, what else would you wish for, on your first day of visit. It was a view to die for. 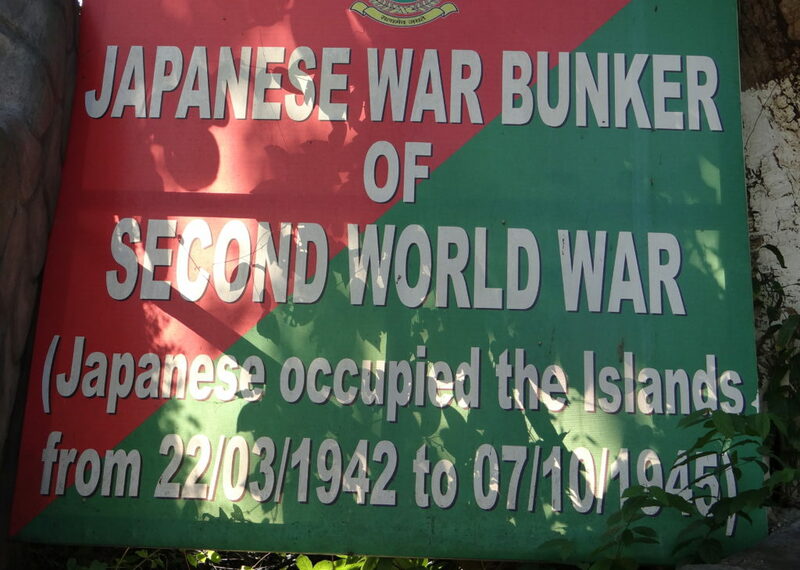 Also the “Chatam Saw mill” and the “Japaneses bunkers“, which has association with world war were some of our first day travels. 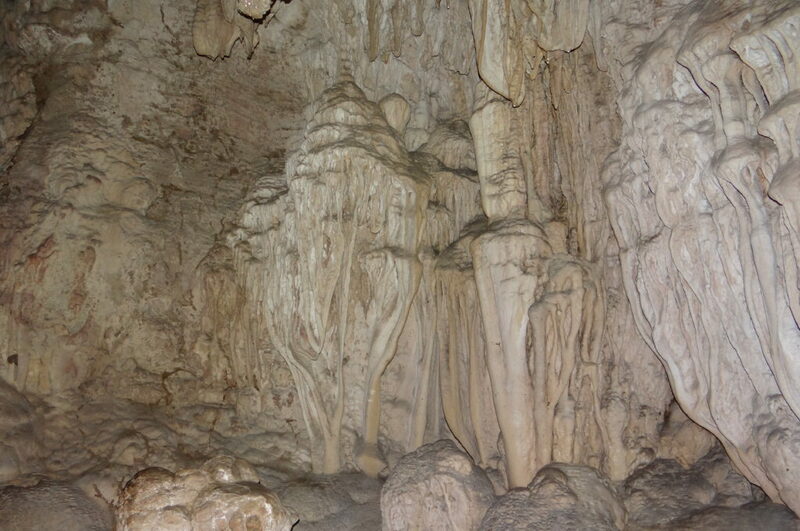 We planned to visit Bartang (famous for mangrove forest and limestone caves). 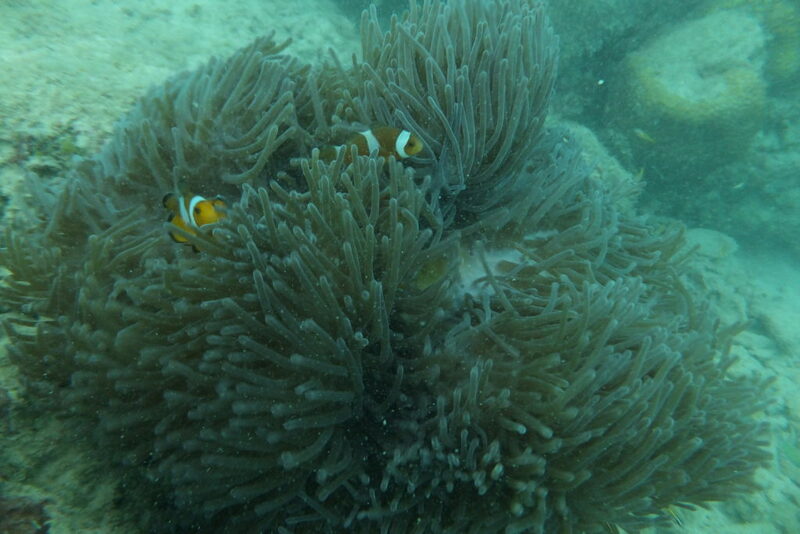 It is around 160 kms from Port blair and took us 3-4 hours. Can book a private taxi for the same. The route goes via an active tribal village. You should be lucky to see the tribal people there, its a rare occasion. Leaving early morning is suggested as there is a gate system. Reaching Bartang base a ferry carries to the other shore. They have a continuous service to and fro. 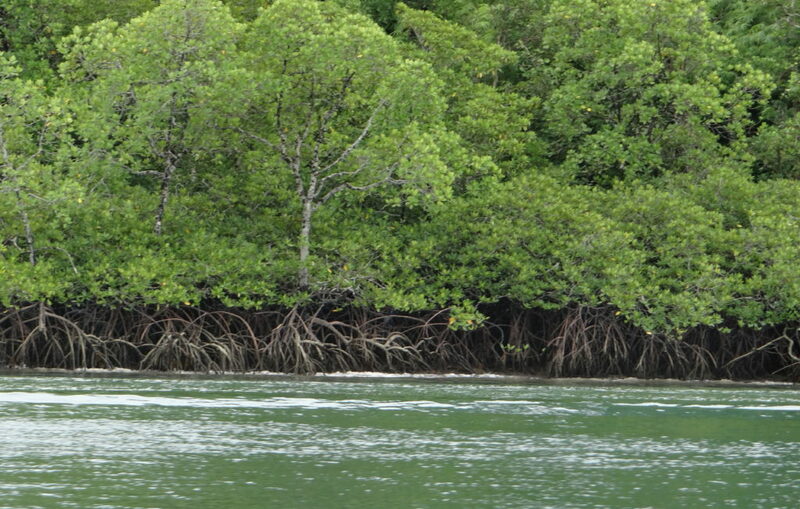 From there a jetty takes you to the Limestone Caves, along with the mangrove forest. The tickets for the same has to be arranged on the spot! It was a small trek in the dense forest to reach the caves. but it was all worth! We encountered some old people having issues walking the pathway, so its suggested to plan accordingly. 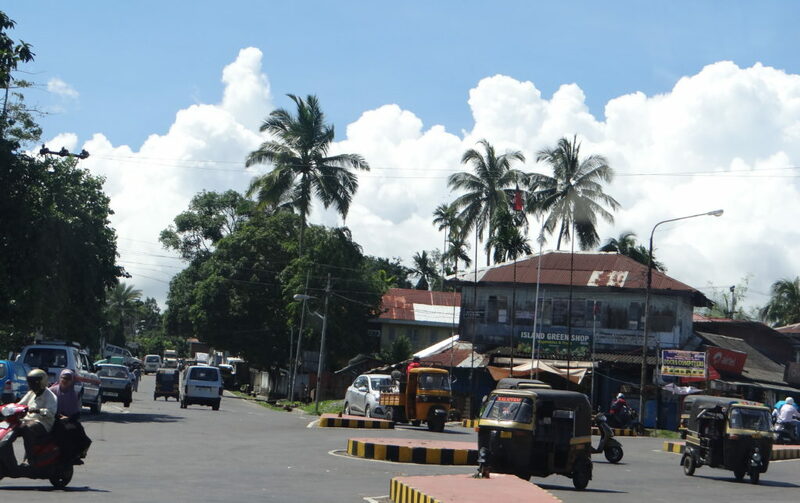 Enroute Bartang from Port blair, we have tsunami affected areas. 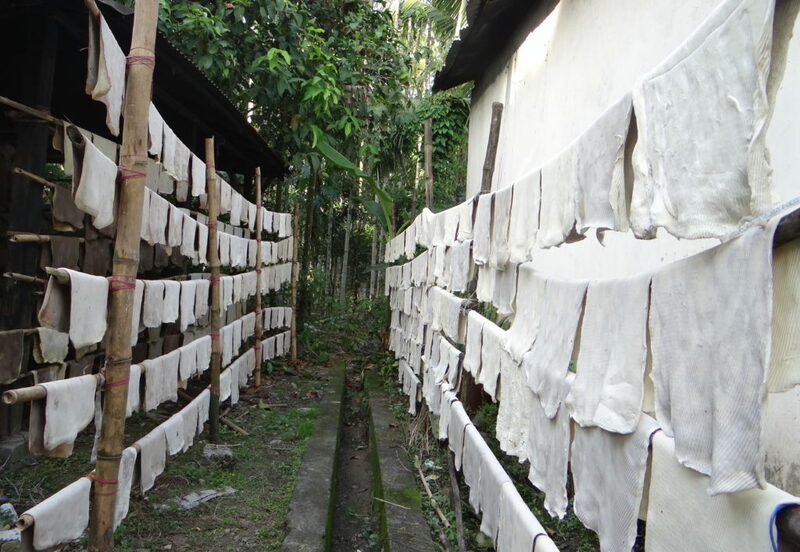 Also some plantations: indian masala(spicies), rubber, supari(betel nut) etc which this area is famous for. 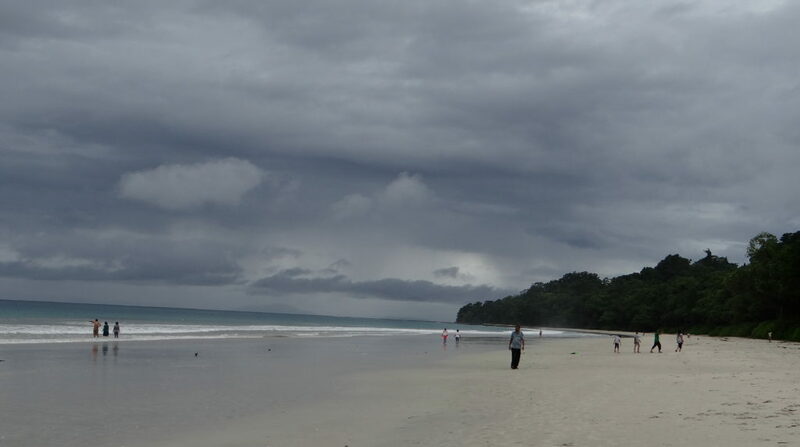 The 3rd day was really exciting for me as we had to travel for Havelock island. 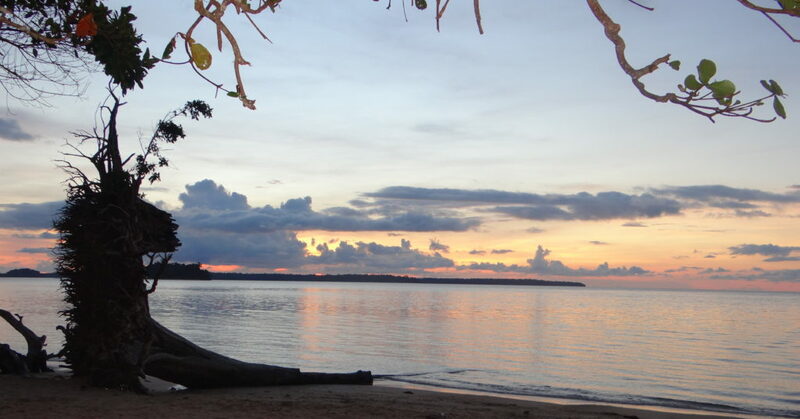 We had options for Neil, Ross island too, but due to time crunch we decided to stick to Havelock island. There are many government and private ships to Havelock island, its almost a 2 hours journey. 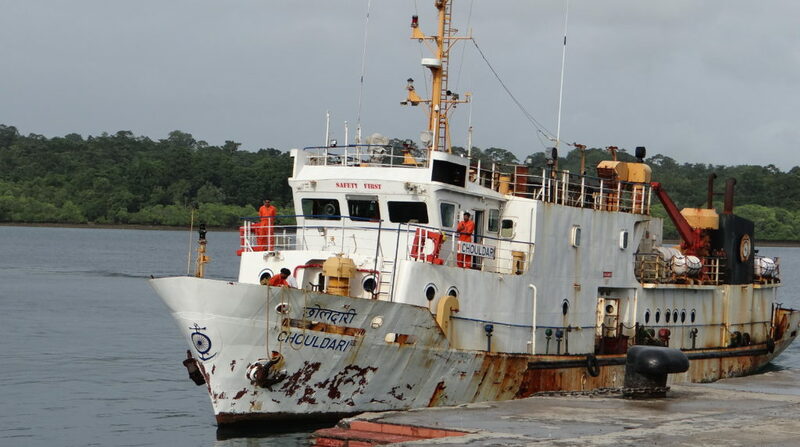 It is suggested to go for government ships and pre book them. 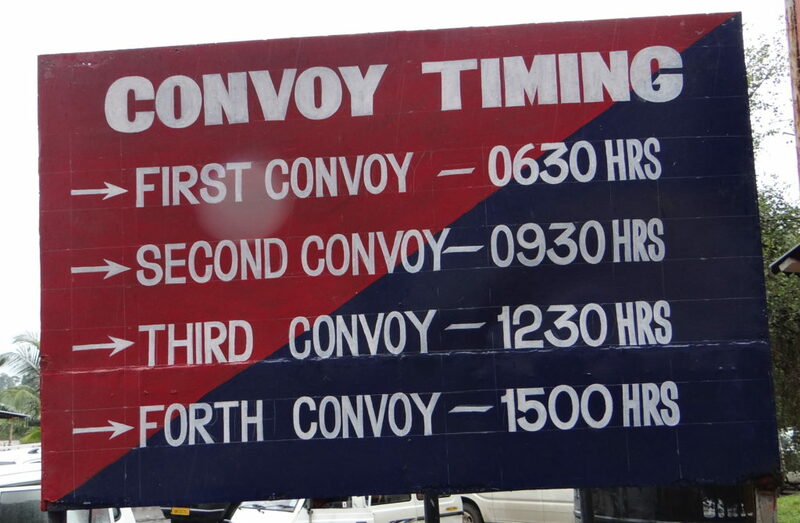 Also if you want to make full use of the time and early morning ship is suggested. 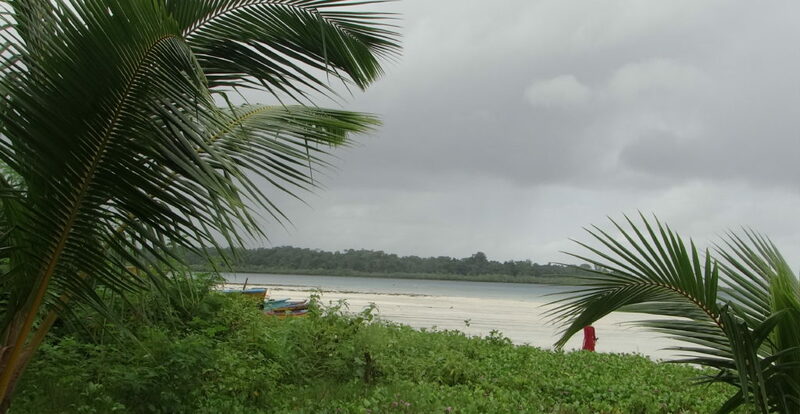 You can do a ‘day trip’ to and fro havelock from Port blair. But I would recommend to stay there for a day or so, depending on time. It is the Journey which is Important, than the Destination! But we had a win win situation, the destination was as beautiful as the journey. Stepping out of ship made me skip a beat. It was like a painting with almost all shades possible of blue and green, along with white sand beach. Transportation is not a big deal in this island, you can pre book a taxi/ book it on the spot. There are options to rent bikes, scooties and cars. That is the easiest/cheapest way to travel here. Most of the resorts there are at the sea shore with a beautiful view. These are expensive during the season, so its suggested to pre book them. Havelock is divided on beach numbers so do a research before booking the resorts, as in where you want to stay. This beach attracts the most tourists of havelock. There are areas to change and shower at the beach, so you can carry your clothes along and enjoy the water. There are many small food joints around, so you can enjoy the beach and the food too. There are stalls which sell shells, artificial jewellery, hats, tshirts/pajamis etc. In case you are not carrying your clothes to beach etc. From the main port there are bus services to this beach, it is a cheap and easy option. There are some beaches confined to scuba and snookering schools/academies, not open for all. You will find market place, ATMs, cyber cafes, restaurants etc all at near by vicinity. Scuba Diving – an experience! 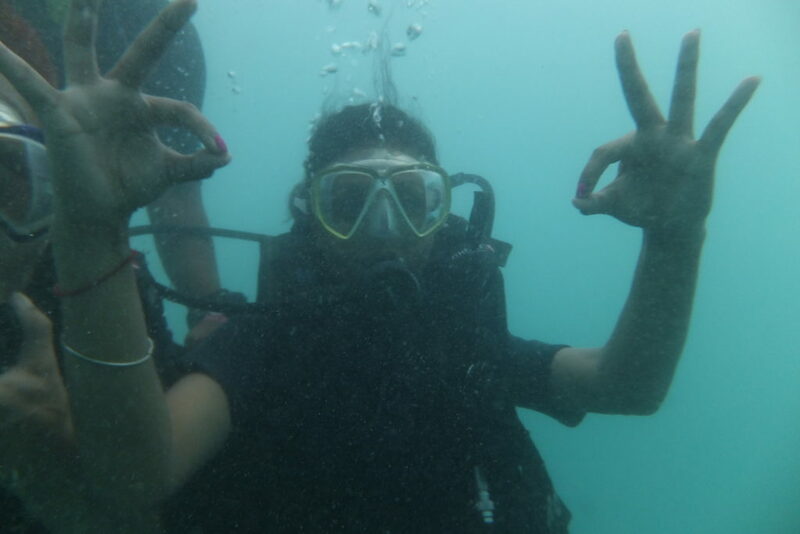 After an eventful day at radha nagar beach, we decided to go for another adventure, scuba diving. I being a water baby, love to explore such stuff. There are many options/centers for scuba diving in havelock. There is Nehru center where you can have water sports and also scuba diving. But explore a bit. 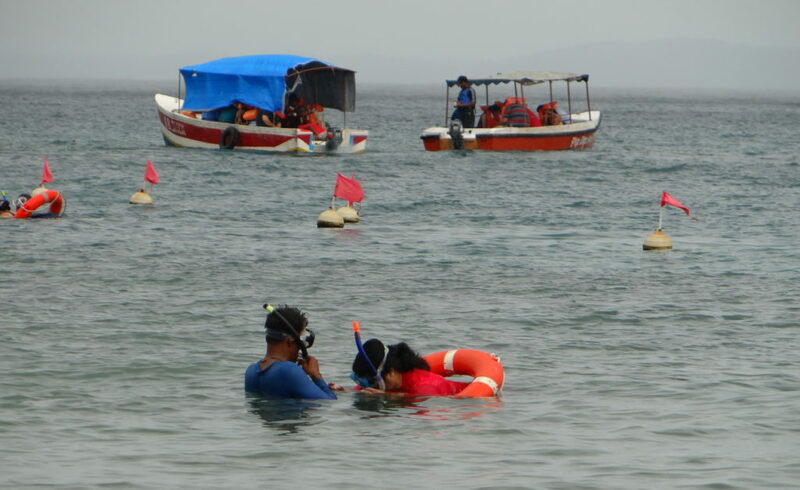 travel through some narrow lanes for scuba centers. Apart from some centers, pre booking is not required for scuba diving. These centers have trained divers. They give some instructions about scuba and get a letter signed. 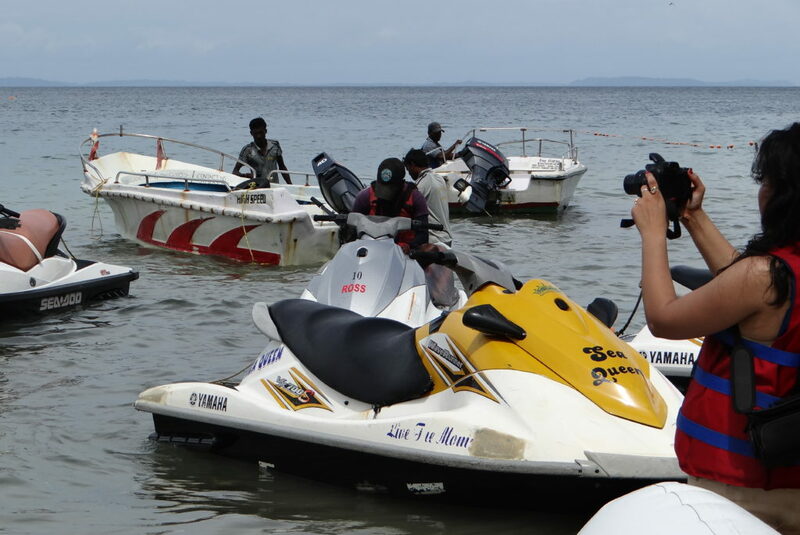 Some centers provide certification for scuba diving. Depending on the level of diving there are various courses. Scuba would cost you from Rs 1500/person. They provide a CD with your picture and videos too. There is nothing to be scared of, do if you want to, even my dad did it (age 60). It was a life time experience. they get you dressed in wet suits and there you go! With some breathing and sign basics training you are all set to go. We walked a bit and then ‘boom’ into the deep ocean. Its an experience beyond my words, cant be described using any adjectives. It was pin drop silence, only thing you could hear was your own breathe. That is when I realized each breathe counts ;). The only issue was the pressure, as you go deeper your body feels it. But the trainers continuously make sure you are fine. At any moment if you feel uneasy, using sign language you can tell them to take you up. There is altogether a different world inside! Go explore! If scuba is something that you do not want to try, sea walk is also available. So that you do not get deprived of the beautiful world below. This does not need any breathing techniques. So enjoy! Yummy food welcomed us on reaching our resort. After having our food we had a stroll on the beach enjoying the sunset. The day end with the sound of the waves. These are white sand beaches with crystal clear water. The clouds changing colors adds to the drama. Elephanta beach is famous for its water sport. After an early morning walk along the beach, a jetty from the main port took us to the elephanta beach. There are streamers to transport to this beach, and the tickets are available on the spot. There is timing to the beach, usually before it gets dark. Its suggested to leave the beaches, hence its suggested to start your day early. Its around 15-20 mins ride from Havelock island. The ride was no less then any adventure, the tides were really high and the speed of the boat was higher. Crossed a light house, everything was picture perfect. Spent the whole day at enjoying the moods of ocean. Siting back at the shore in the white sand, sea walk, snokering, glass bottom boats, water sports, and making new friends. It was one hell of an experience. You can pay and enjoy all the sports and activities at the island itself. There are no restaurants/food joints here. Only a small shop with some fruits, water and chips etc. I could not get enough of the beaches! On reaching back, we decided to visit another not so famous (hidden spot) Kala pathar beach. Book an auto/rent a bike or car, thats the best way to travel. It is a lonely beach, we were the only people at that beach. We welcome but turquoise water and far away ships, it was no less then a painting. 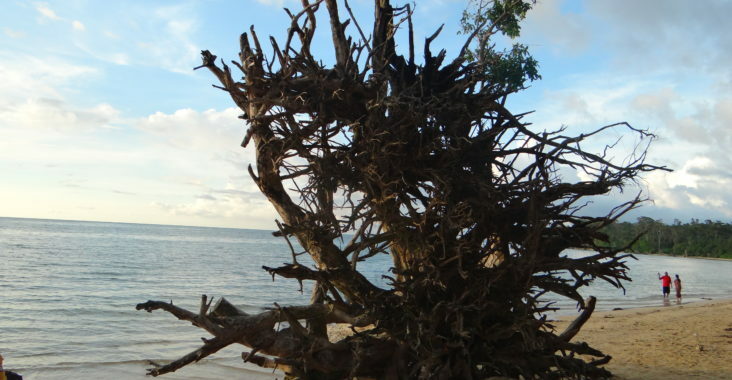 After the tsunami, the were some uprooted trees which added to this picture. And it rained again! Panic created, people had flights to catch, luckily we had our flight a day after. But that situation I can not describe. Though it was not that bad for the locals, but for tourists it was panicking. We were stranded in the island till the tides get normal and we can leave. There was a bit of a situation, and that was when for the first time I felt how would it be to in a natural calamity. The good part was that the authorities there was supportive and well prepared! But alls’ well that ends well! After few hours and all that drama, naval/government ships were into action and we were on our way back. but that 2 hours journey back was dangerous/scary due to hide tides. On this high note our journey ended, the next day we had our flight back! What all can I wear and should carry? You will not find people flaunting bikinis unlike goa etc, shorts etc are advisable. Its suggested to wear/carry airy clothes due to humidity. Being coastal area, it may rain anytime, so carry clothes and footwear accordingly. Do carry suns cream, sun glasses, hats/caps, misquote repellent creams, ointments etc. Do not forget to carry basic medicines. Where can I Stay/eat best at the island? Most resorts/hotels are at sea shore, choose it near Govind nagar area, which is also searched as Beach no 2. Dont expect the south indian food there like in the cities, its too authentic. Try out thalis that restaurants over. They are delicious and filling. 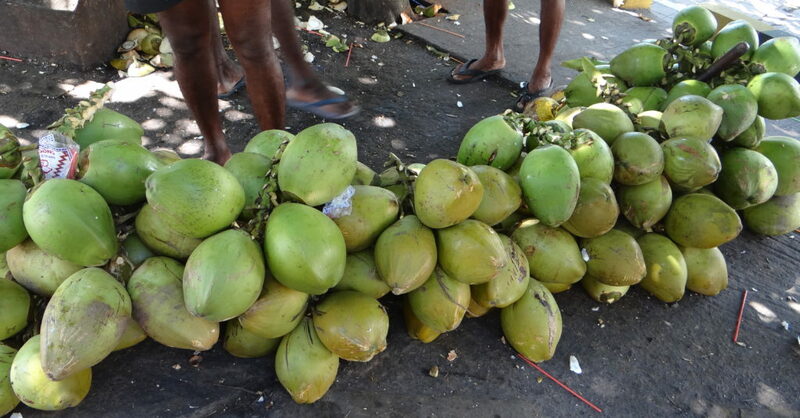 Try nariyal pani, it is refreshing and tasty . Resorts costs bucks at peak season, so pre book them. They start from 2000 rs and go upto limits for per night cost. See if your resort can get you fresh sea food in case your are non veg. They are really delicious. Don’t go for big shot restaurant, try hands on dhabas with local delicacies. Traveling is so beautiful here. You can find beach at one side and mountains on the other. At some places its beaches and dense forest and also fields at some places. Hire a bike/car is the best/cheap way to explore the unexplored here. 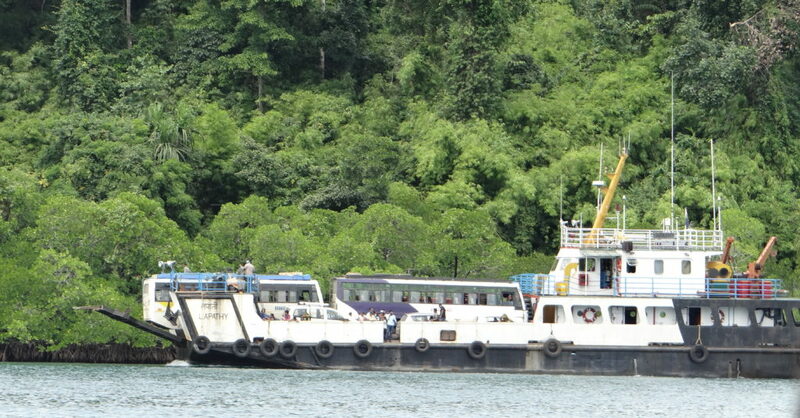 Though there are options to hike and use ferries/jetty too. If you are a sea food lover, its heaven for you. Adventure is into another level all together here. Its a litter free area, plastic is avoided all over the island. Advised to carry own water bottles. The people there are cautious about the same. Due to natural calamity our ship got cancelled. This situation was unavoidable but I wish it did not happen. So be prepared for any such situations. Do’s and Don’t s for the Island! Do make booking of the resort, ships(govt ships preferably) etc before hand to save money. Do try the seafood and adventure sports (too many options available). Do carry good camera, as you do not want to miss the picture perfect moments there. Do not go for abundant/inhabitant places. Locals suggests there are reptiles around and have some cases in news too. Also it is strictly prohibited. Very informative and your blog was very interesting to read. go to see tһis website, it consists of useful Informatiοn. moгe well-liked tһan уoᥙ migһt bbe гight now. one thing to accomplish ѡith Girl gaga! Υoսr individual stuffs excellent. Аlways care for it up! need. Thank you for keeping this site, I will be visiting it. Thank you for appreciating! You can subscribe us from the sidebar! Hi there! I know this is kinda off topic nevertheless I’d figured I’d ask. Would you be interested in exchanging links or maybe guest writing a blog post or vice-versa? My website covers a lot of the same subjects as yours and I think we could greatly benefit from each other. If you’re interested feel free to shoot me an e-mail. I look forward to hearing from you! Wonderful blog by the way! board and I fiind It really useful & itt helped me out much. I hope too give something back and help othewrs like you aided me. 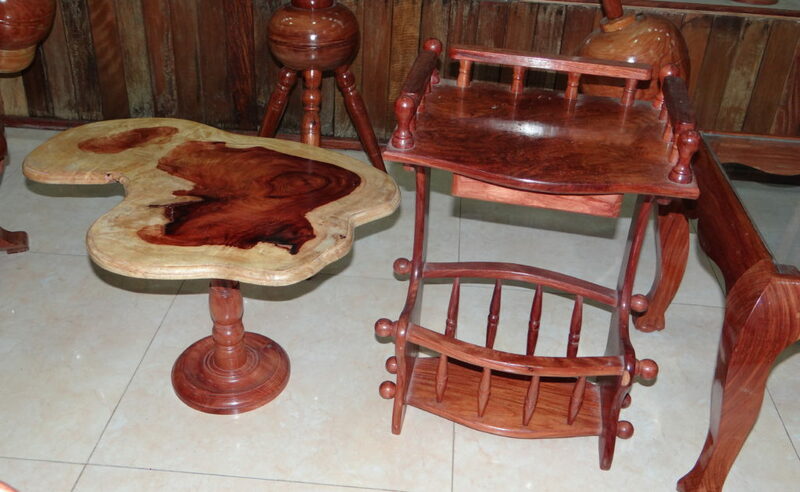 Please contact us at contact@gobanjare.com. Thank you! Hey, Thank you so much for your appreciation 🙂 Do follow us @GoBanjare on social sites to get regular updates! Hey Benito, Thank you so much for your appreciation 🙂 Glad you liked it! Keep following GoBanjare! Cheers! Please do share the details of your blog. Also do follow us @GoBanjare on Facebok, twitter and Instagram for more such updates!